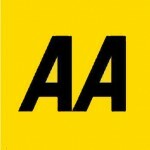 The Automobile Association (The AA), a British motoring association founded in 1905 was demutualised in 1999 to become a private limited company which currently provides car insurance, driving lessons, breakdown cover, loans and motoring advice, and other services. Following demutualisation the AA Motoring Trust was created in 2002 to continue its public interest and road safety activities. In 2007 the AA merged with Saga Group to form Acromas Holdings.